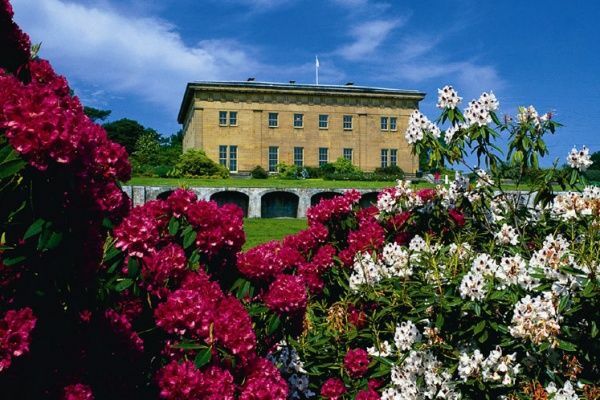 With so much to see and do, a trip to Belsay is one of the best value family days out in North East England. 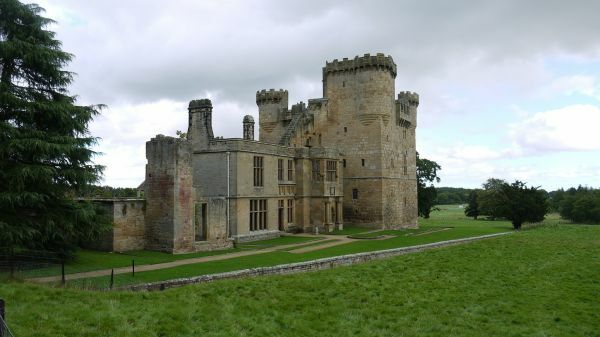 Explore the grand medieval castle, later extended to include a magnificent Jacobean mansion and don’t miss the stunning views from the top of the tower. 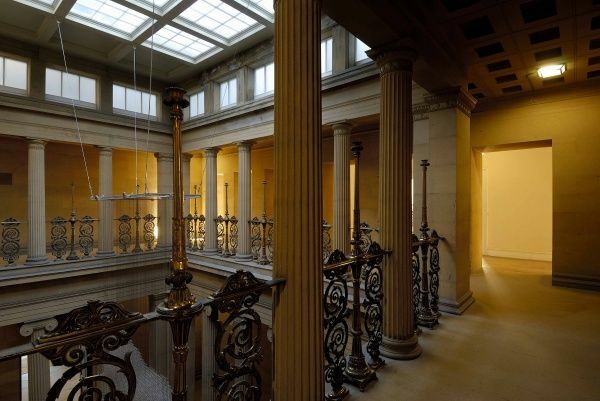 Then it’s on to Belsay Hall, an architectural masterpiece inspired by the temples of ancient Greece, with its fabulous Pillar Hall. Last but not least, there are the huge grounds, packed with an impressive array of shrubs and flowers. 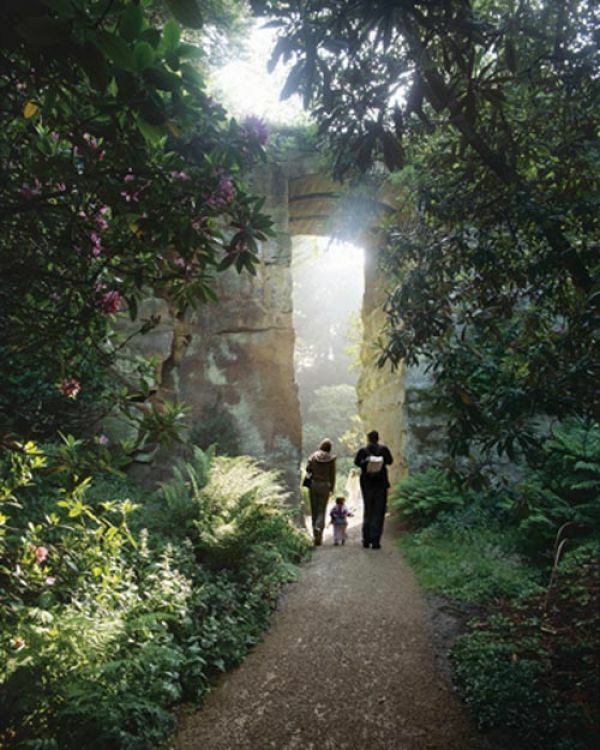 The unique Quarry Garden is a fantasy of ravines, pinnacles and exotic plants, No wonder Belsay Hall is one of the top visitor attractions in Northumberland. 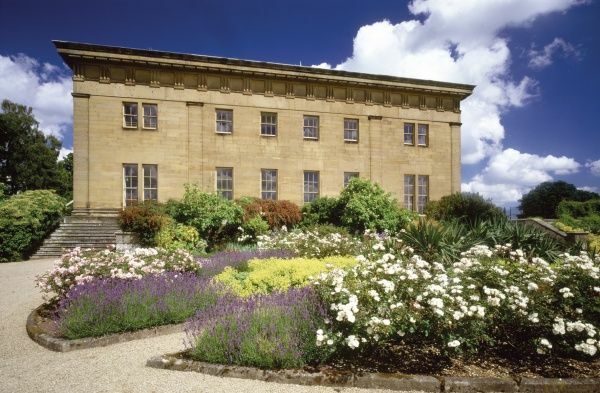 Belsay Hall, Castle and Gardens, in Northumberland has something for everyone, with a fine medieval castle, a Greek Revival villa and outstanding, plant-rich gardens to explore. Take in thirty acres of picturesque landscaping, including magnificent rhodedendorons, and see forever changing seasonal delights such as snowdrops, gorgeous summer blooms or golden leafy hues. Enter the magical and romantic Quarry Garden with ravines, pinnacles and sheer rock faces inspired by the quarries of Sicily. The Jacobean mansion ruins of the Castle are sure to impress, make sure you climb right to the top of the tower for spectacular views of the surrounding countryside. 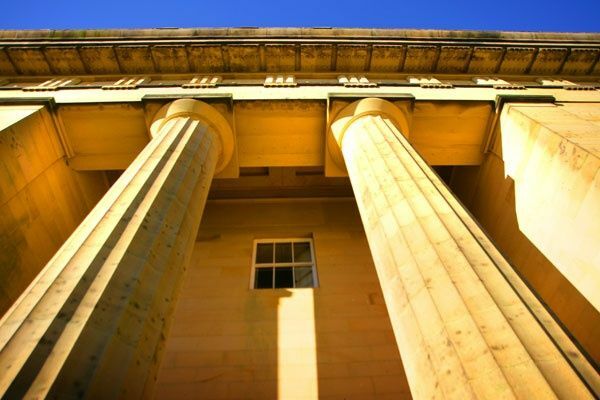 Belsay Hall itself is a Classical Greek Revival villa, centred around the amazing central two-storey ‘Pillar Hall’, wander the large unfurnished rooms and discover the stark architecture. 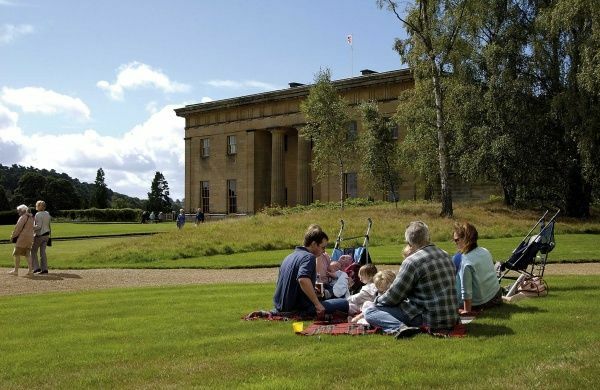 Belsay’s Victorian tea room, situated in the old kitchen is the perfect mid-visit stop off. Access to buildings: RADAR key access for level access route to the hall and for disabled toilet. Disabled access to ground floor of hall only. Castle and manor house reached via 700m path through gardens; access to castle or manor house via steps. Spiral staircase to upper levels of castle. Four wheelchairs available, which can be obtained on sire from any member of staff. Visitors are recommended to call ahead to reserve a wheelchair. Access to gardens: level compacted gravel paths and short grass. Signposted wheelchair route. 3 benches in East Quarry, none in West Quarry but a few large quarried stones. Parking:Parking available. Blue Badge Parking available in main car park, close to the shop and ramp access to the hall. Visually Impaired Visitors:Sensory garden with tactile and aromatic experiences. Bird song, animal sounds and many flowers, including pinks and hybrid musk roses. I wasn't sure I wanted to see a Georgian house empty of furniture but was so glad we went. 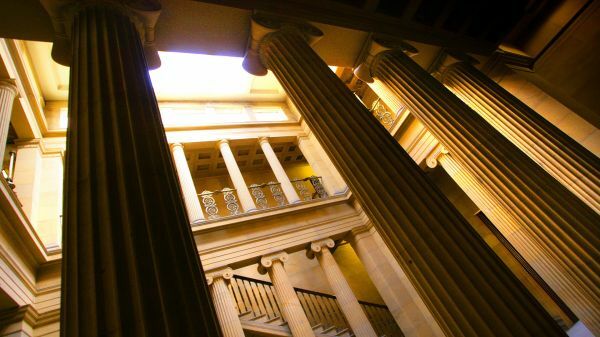 Because there was no furniture you can appreciate the Grecian architecture better. As the owner didn't want external guttering and downspouts to spoil the look of his house, the servants quarters to the right of the front door became infested with damp, dry rot, wet rot - you name it. They have now been stripped back, treated and made safe so you can at least see this part of the house. We were there when two people in costume were explaining how the servants' work lives were managed and they were ably assisted by the younger members of the audience. Watching the face of the teenager who had to empty chamber pots as part of her job was a treat - obviously she hadn't seen one of those before! 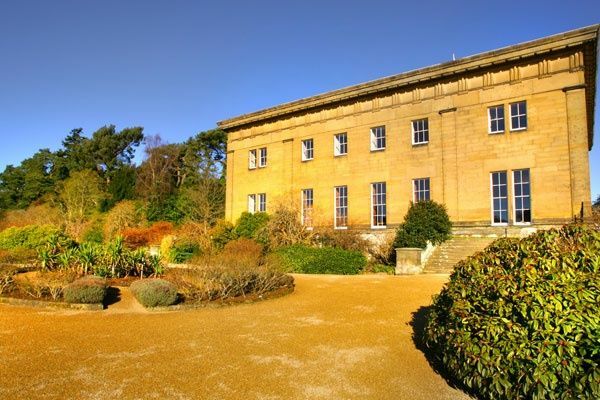 In the grounds there is an attractive ruined castle to explore, cafe, shop and a good second-hand book shop. 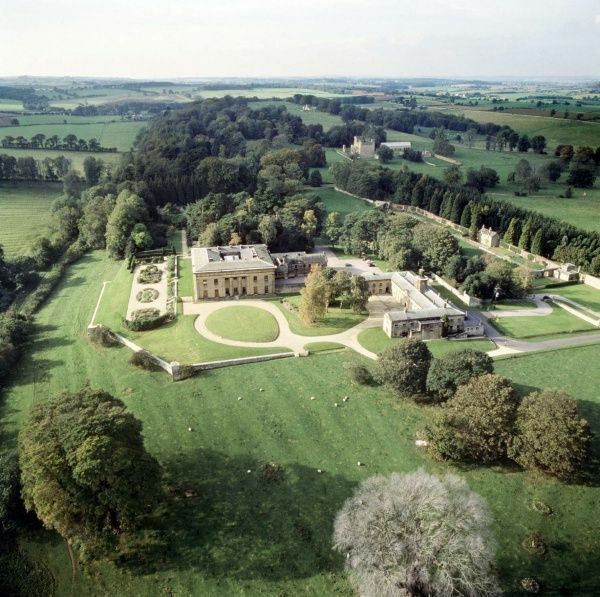 The grounds are extensive and well looked after. For me the highlight of the day was the quarry garden - a real gem. 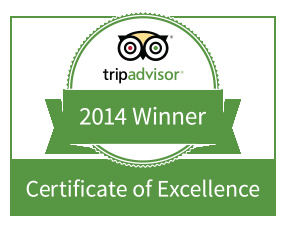 We signed up to English Heritage so we can visit the gardens at different times of the year. The snowdrops, hellebores and aconites are the stars at the moment plus a winter flowering rhododendron in the quarry garden which was new to me. I suggest visiting the stables first as there is a Lego version of the house and boards explaining the history before you go any further. 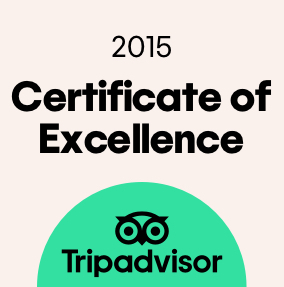 We really enjoyed being here and look forward to our next visit. 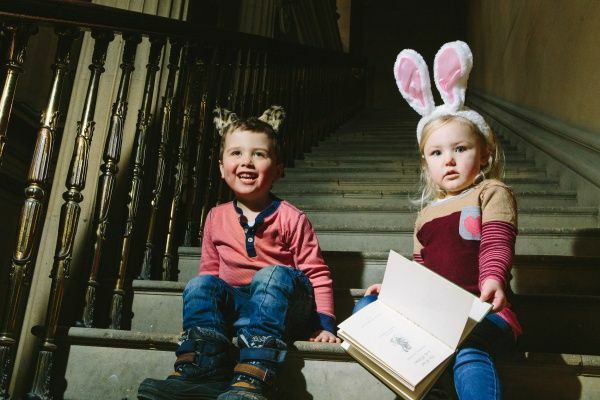 Belsay is a beautiful castle, manor, quarry and gardens - there's SO much for every member of your family. My wife and I became English Heritage members at this location, and are looking forward to visiting this site repeatedly throughout the year. The gardens were still kept in top form, even though it's the middle of winter. The history and sites are not to be missed. We so enjoyed our trip to 'Enchanted Belsay' Strolling through the illuminated grounds in the rain was a wonderful experience. All the kids we saw were so thrilled and excited which was lovely to see. What really made the visit though was the staff and volunteers who were so welcoming and friendly despite being out in the cold and wet for hours, it was a really good atmosphere, thank you!